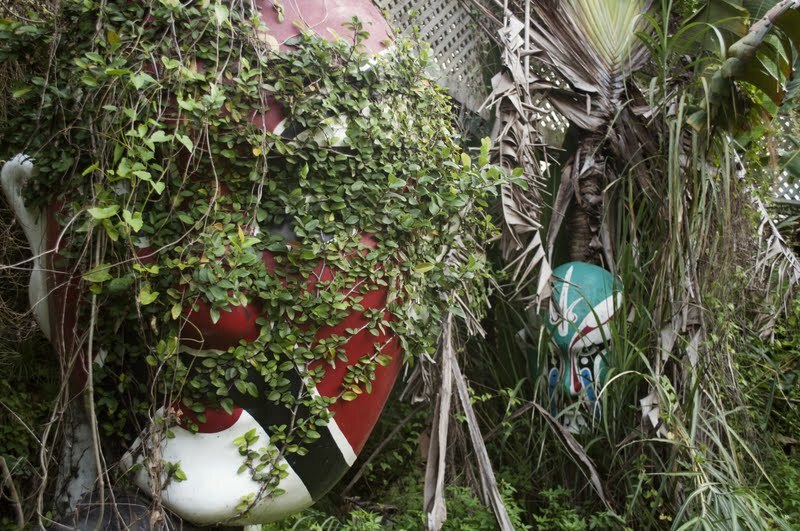 Have you been to any Abandoned Theme Parks? 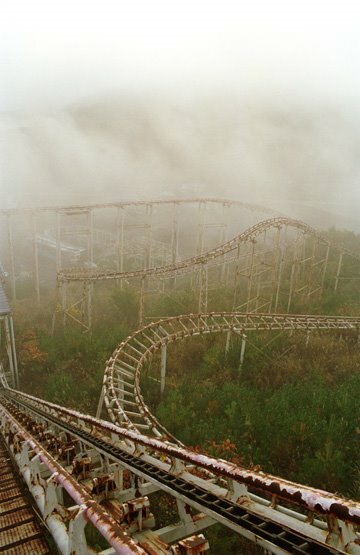 Abandoned theme parks are seriously creepy, some of the not so abandoned ones would be pretty creepy after dark. Either way I’m always reminded of that time in one theme park where my little sister discovered she was afraid of clowns. Never did get to see the end of that show. I know I’m on a bit of a theme at the moment but I’m on the hunt for the right spooky setting. This week I’m going to check out abandoned theme parks. If you know any good ones that aren’t on my list let me know. And if you’ve been to one I’d love to know about your experiences. Especially if you went there specifically to ghost hunt. I don’t want to just pick any abandoned theme parks as I come across them. There are so many out there, some we’re familiar with and others not so much. So I wanted to set out some specifics about what I might want from my selected theme parks. 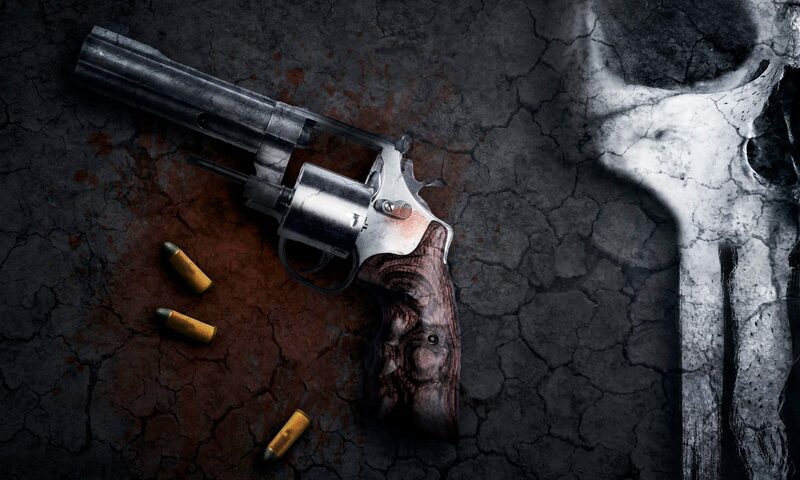 I’m looking for a creepy location, probably some mist, a bit of a story behind the place that could be developed perhaps, and the sense that a character wants to be part of the story. You know, one of those creepy characters that lurk in the brain until they see the right location for their story. Now here are the ones that just didn’t make the list in no particular order. Prypiat – Chernobyl. Opening and closing on the same day due to the massive disaster. Okay so it’s overgrown, there were definitely deaths after it’s closure (due to the disaster not the theme park), it hasn’t been redeveloped although people are now being allowed into certain parts due to the reduction of radiation (hell there are even movies filmed in parts of it now too), I don’t think the pictures are super creepy – more sad, and so far haven’t found a single one with clowns. Holy Land – Connecticut. Well it’s definitely overgrown, not really an interesting story, there was a death after the closure, and it’s under consideration for redevelopment. The pictures always make me think of cults and not the holy land – is that weird? And for sure there were no clowns. Spreepark – Berlin. Is a park that is definitely overgrown and creepy looking. The story is quite interesting with the owner running out of money and smuggling drugs in the rides when he tried to move them to a new location. It’s not in redevelopment as far as I could find out and I haven’t found any clowns. It is another one that has appeared in films but there are no after closure deaths as far as I can find. Okpo Land – South Korea. Oh this one is such a disappointment, I wanted to include it in the Made it section but it’s been redeveloped. Those ducks look super creepy even in the daylight, it’s overgrown and there were a couple of deaths there (although not after it closed as far as I know). Probably the odd clown but haven’t found any pics (look lets say adding clowns to it even if there wasn’t any wouldn’t be out of place) and the story is pretty interesting too. But Unfortunately it just doesn’t fit. Dunaujvaros Vidam Park – Hungary. A once popular theme park that has been torn down so has to be in this section. The pics are a little creepy but no real story behind it’s closure other than lack of money. Could be clowns but I reckon they would be in pastels. Not a scary one – sorry. Joyland – Kansas. An interesting back story that could be enhanced, overgrown and not under development as far as I know. The victim of vandals and mother nature. There could be clowns. Dreamland, Margate. – UK. With missing rides and locals hiding them there are some interesting stories around this park. Few are about deaths though. The pics have the potential to be creepy and what they want to do with the location could be interestingly creepy in it’s own right. Clowns wouldn’t be out of place either. Dogpatch – Arkansas. Does this place scream Wrong Turn to you or Devils Rejects? No clowns though and although it is abandoned it looks more like an old town than a theme park. The story behind it’s closure it pretty standard too. Disney’s Discovery Land – Florida. 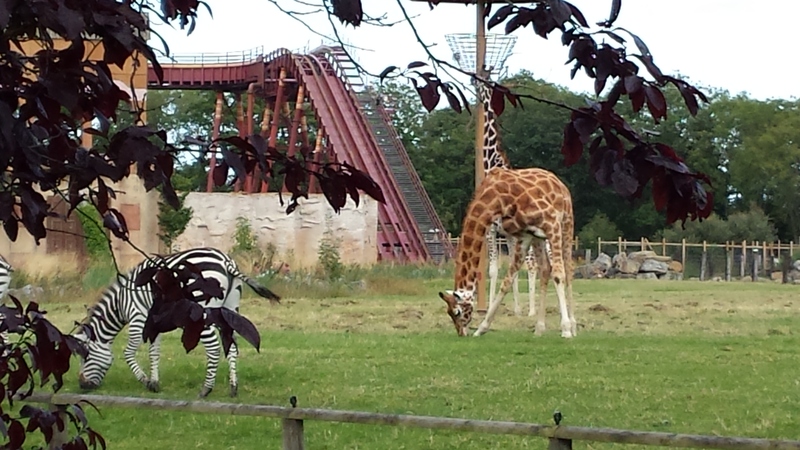 A wildlife park rather than a theme park but with it’s lights still turning on at night and animals in jars it could be a creepy one. 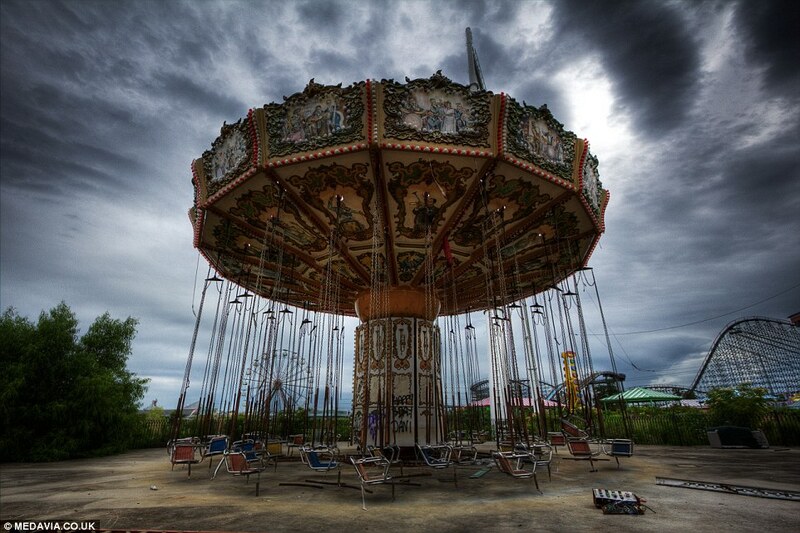 Nara Dreamland – Japan. The pictures available of this park are quite spectacular and if you wanted to write about a park that might just start working again as you scrambled over the rides on a misadventure this might just be the one! Didn’t find any clowns though, it’s only a bit overgrown, the story was once again down to reduction of visitors and money and no stories I can find about deaths occurring after it shut down. The Amusement Park of Budapest. I’m adding this one because the creepiest thing about it is that you can google it and find pages (like lonely planet) that are still talking about it as if it’s open. Apparently it’s great fun. Woohoo we made it through the not so creepy abandoned theme parks and are now in those that are perfect for our needs. Six Flags – New Orleans. The main thing about this is that the first picture I saw was of a giant clown head – tick that box easily. It’s not so much overgrown as coated with debris from the water which is a cool twist for sure. It’s definitely an interesting story behind the closure – hell it had to be evacuated and was then flooded. It hasn’t been redeveloped but has been in some movies. Takakanonuma Greenland – Japan. Well now this is an interesting one. Shrouded in mists and overgrown the park was said to have been demolished but curious trekkers have found it completely intact (well as complete as nature has allowed it to be). The why it was abandoned story was not as interesting as it could be unfortunately but one or two creepy after the fact stories have turned up. No clowns that i’ve seen so far but again wouldn’t look out of place if one was added. The pics that I’ve found are really creepy and just asking for a story to be built around it. Encore’s Garden – Taiwan. The closure story was a little unusual with an earthquake. There is definitely something that looks like a clown in an eastern way. Creepy overgrown pictures and difficult to find suggests a good story perhaps of it being stumbled on by walkers. It hasn’t been redeveloped as far as I know. No deaths that I know of either. via Words I Lived (a pretty cool blog you should check out, and the bizarre story of how they found this place). 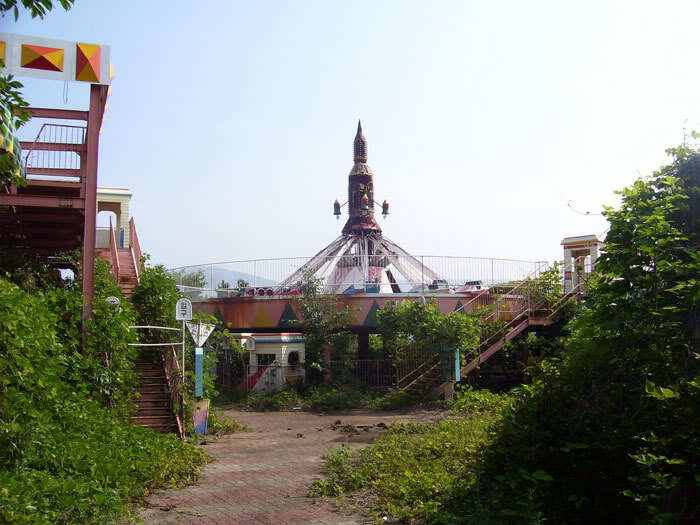 Only three abandoned theme parks fit the conditions better than the rest but none quite hit all points. I can take the best things from each place and create my own right? Hello, fiction writer! A clown as the creepy bad guy is way too obvious so perhaps a clown as the protagonist? Young girl in a red dress…..hmm has possibilities… they’re never acting alone though are they? Usually a minion of some darker, evil, force. 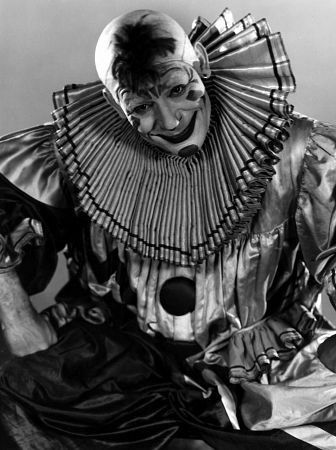 Maybe I’ll look at clowns next week, you know – what their faces mean, the history, the stories, the horror. Maybe I could be a clown for Halloween!